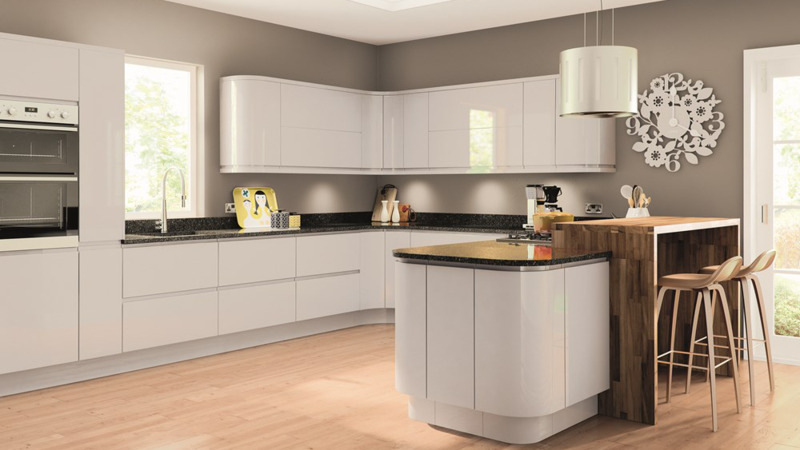 Our Xpress Kitchens are a more affordable option from Hi-Line Kitchens & Joinery. Perfect for use in utility rooms or Buy to Let properties where you may be working to a tight budget, need a fast turnaround or have your own preferred fitter, whilst still looking for a quality product. We have a range of around 30 fantastic high quality door styles to choose from, supplied on innovative tool-less self assembly cabinets. The innovative British made cabinets can be assembled in minutes, requiring no tools, to form very sturdy 18mm mfc cabinets with solid 8mm backs secured into a continuous groove cut into the cabinet base, top and sides meaning it does not come loose or fall out like many other cabinets of a similar price point.